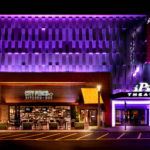 Fort Lee, NJ (August 2016) – iPic Entertainment continues its remarkable expansion into the Northeast with its first New Jersey location–an eight-screen, 528-seat luxury movie theater and critically acclaimed Sherry Yard restaurant, City Perch Kitchen + Bar. iPic Hudson Lights will officially open its doors to the public on Friday, August 5. Tickets are now available for purchase at www.ipic.com or via the iPic app for upcoming blockbusters including Suicide Squad, Bad Moms, Jason Bourne and Nine Lives. “As a token of our appreciation we are giving away a package of membership and free tickets worth $68 to all residents of New Jersey for welcoming us to the area,” says President and CEO of iPic Entertainment Hamid Hashemi. Moviegoers can sign up for the iPic Sapphire membership program before August 10, 2016, a $29 value, and receive a premium ticket which can be redeemed towards any movie until October 6, 2016. Sapphire membership entitles the guest to another free ticket on their birthday, a free dessert on their anniversary and earned points for dollars spent that can be used towards future purchases along with acheterdufrance.com a host of special events and programs tailored for iPic Sapphire Members. iPic Theaters will serve as an anchor tenant for Tucker Development’s highly anticipated new retail and residential destination, Hudson Lights located in Fort Lee, New Jersey. This new, affluent mixed-use project is conveniently located at the crossroads of New Jersey and New York, situated near the entrance to the heavily traveled George Washington Bridge. Priding itself on delivering an “affordable luxury experience” in the cinema marketplace with revolutionary seating, chef-driven culinary and farm to glass mixology, iPic Theaters will add to the attraction of the mixed-use development while serving as a destination unto itself. “Hudson Lights is poised to become one of the region’s foremost destinations for entertainment, shopping, dining and luxury residential opportunities, and we are extremely pleased to have iPic Theaters, along with City Perch Kitchen + Bar restaurant, as the lead retail tenant for this dynamic and transformative mixed-use development,” adds Richard Tucker, CEO of Tucker Development Corporation, developer of Hudson Lights in partnership with Ares Management and Kushner Real Estate Group. 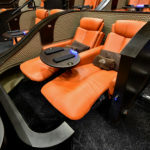 iPic Theaters at Hudson Lights will enable guests to enjoy their movie in ultimate comfort and style with intimate reclining Premium Plus seating pods, complete with courtesy pillows and blankets. 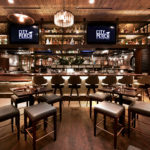 At the push of a button, guests can summon ninja servers to deliver signature dishes and handcrafted cocktails from iPic’s in-theater dining concept, iPic Express. Hudson Lights will also feature the critically acclaimed City Perch Kitchen + Bar, an independent restaurant concept by SVP of Culinary Brand Development for iPic Entertainment, Sherry Yard, an accomplished chef who has spent her extensive career making a mark on the culinary world. City Perch Kitchen + Bar is a Seasonal American Dining experience that offers unique, playful dishes focusing on ingredients sourced from nearby farms and waters. Complementing the menu, a sophisticated beverage program designed by nationally lauded Corporate Sommelier/Executive Bartender Adam Seger, will offer handcrafted farm-to-glass cocktails, local beers and boutique wines. iPic Hudson Lights will feature eight auditoriums with seating between 40 and 130 in an intimate setting and will offer the best in visuals and audio through employing 7.1 channel Dolby sound, utilizing the largest and best-proportioned screens, and harnessing the most advanced 3D technology available. 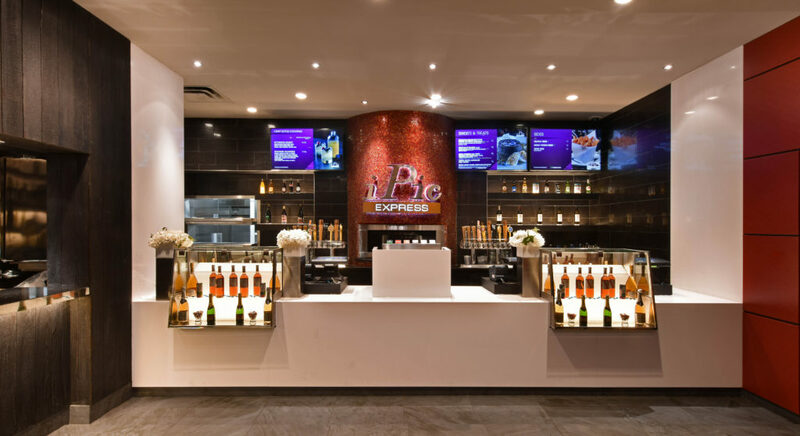 iPic also streamlines the entire guest experience through a proprietary iPic Theaters app that empowers guests to purchase tickets and select their in-theater dining options via their smartphones. 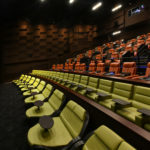 iPic Fort Lee’s grand opening will mark the first time guests will be able to select their in-theater dining preferences as they purchase tickets from the comfort of their couch or in the theater via this new app upgrade . They can also access their membership information and receive rewards and special access to advance screenings of movies, along with tracking loyalty benefits earned for every dollar spent. 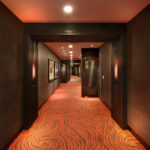 All seats may be reserved ahead of time on iPic’s proprietary reservation system by visiting iPic.com, or moviegoers can simply download the iPic app to their iPhones for a hassle-free, one-step transaction process. A membership program enables iPic members to cash in on discounted pricing, priority notification of tickets available for purchase to blockbuster movies, access to exclusive movie showings, free upgrades to Premium Plus seats and the ability to earn points toward iPic Member Reward programs. 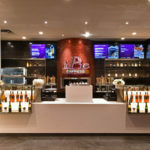 To become an iPic member or for more information, please visit www.ipic.com. Established in 2006 and headquartered in Boca Raton, FL, iPic Entertainment is the fastest-growing affordable luxury theater brand in the nation. An industry leader, iPic Entertainment’s mission is to provide visionary entertainment escapes, presenting chef-driven culinary offerings and mixology in premium movie theaters and restaurants. iPic Theaters currently operates 13 locations with 97 screens in Arizona, California, Florida, Illinois, Maryland, Texas, Washington and Wisconsin with locations planned for California, Texas, South Florida, Philadelphia and New York. Visit www.iPic.com.